Your future as a lawyer doesn’t depend upon technology. Great client relationships, effective representation, and sound advice will trump fancy gadgets or complex software every time. In fact, clients are rarely impressed by technology unless they see an immediate benefit to their own needs. That said, your firm’s financial success often depends on your ability to use technology in pursuit of lowering costs, reducing waste, and avoiding unneeded expenses. Understanding how and when to use emerging legal technology is as important as keeping current in case law. As a rule, efficiency is vital to clients, even if they never say so. Any consultant or highly skilled lawyer comes at a high price. It is rare that a client looks for ways to pay more! For client-facing technology (such as shared communications, billing portals), you need to stay proactive by explaining how the efficiency improvements you’ve made with technology will benefit your client. Many technologies promise labor savings, which can mean a reduction in billable hours. In the short term, good for the client, not so great for you. However, you should be playing the long game – building solid client relationships, not monthly revenues. It is impressive that you’re willing to sacrifice a few billable hours through efficiencies to gain a long-term, committed client. If you don’t adopt obvious labor-savings efficiencies in your own firm, you are more likely to lose a client to a rival firm that made the switch. Of course, not all labor savings need to be shared with clients. A good source of firm profitability comes from reducing non-billable labor and maximizing productivity. The ability to accept greater caseloads without an increase in administrative overhead is powerful operational leverage. Below are several new and emerging technological solutions for your law practice. Some will improve your efficiency behind the scenes, while others will give clients immediate tangible value. Any given case can involve numerous documents, contacts, appointments, and billing information. Having one place to store and retrieve that data is an invaluable behind-the-scenes asset for your firm. With case management software, you have the choice between using a web-based or in-house server solution. Cloud technology has come a long way in recent years, and it has many advantages for small firms who don’t want to run their own servers. Some legal time & billing solutions, like Bill4Time, offer 256-bit bank-grade security, 5-minute setup, full trust accounting functions, integration with on-line storage services (like Box.com), plus an online payment portal that can accept credit cards and ACH transactions. 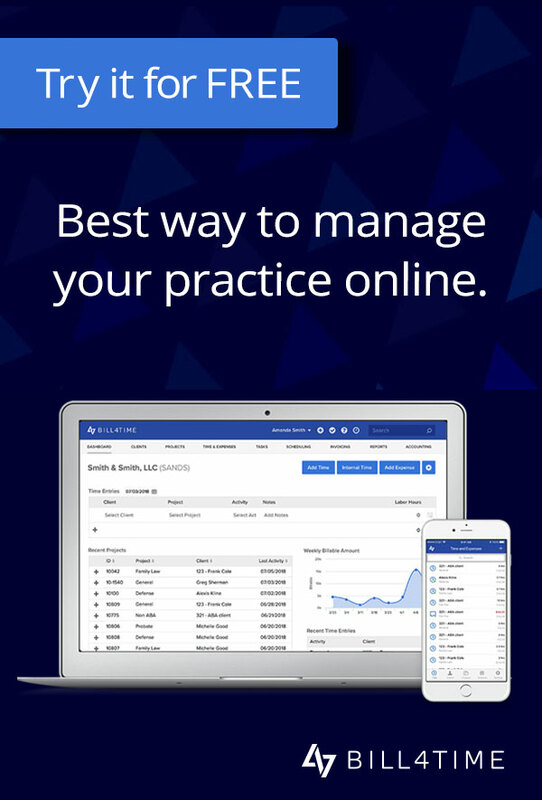 Other cloud-based systems promise complete practice management software. This comprehensive approach can be powerful for your firm, but it requires a deep commitment and sustained effort to change virtually every aspect of your practice. Some firms find the challenge a bit too much and revert back to old ways. Lawyer availability (or timely response) is one of the most important value considerations when clients evaluate a firm. Whether it’s by email, text, or chat, most clients will want to get in touch with you by means other than telephone. Your clients are likely already using secure chat platforms like Slack or encrypted email platforms like Virtru. Keep in mind that there are pros and cons of team communication apps like Slack. 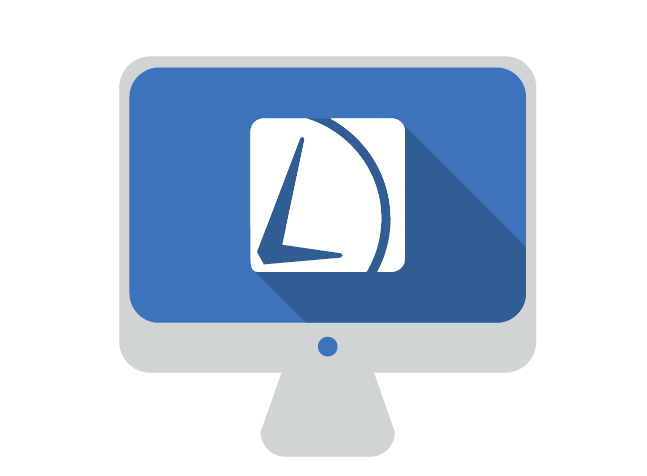 There are better uses of the time and energy of your support staff than drafting legal documents over and over again. Standard templates for living trusts, copyrights, LLC formations, and other documentation, can be accessed through a cloud-based database from companies like Docasaurus, saving you time and money behind the scenes. iManage provides seamless management of your sensitive documents, and Intapp automates document confidentiality through a single interface. Neither courts or clients care about excuses for broken technology, so you need to have an expert available at all times to fix problems with your firm’s computers and other tech when issues arise. If your firm is large enough, you may be able to justify a full-time IT person, but most smaller firms will need to work with companies like Dataprise or Synoptek. Even if you run a small practice, information about your clients and cases has value to criminals. Even if you use cloud-based case management software, the devices you use to access the web need their own security. This means you need to install and consistently update anti-virus software like AVG, anti-malware apps like Malwarebytes, and firewall hardware like WatchGuard. Just like Lyft can connect passengers with available drivers, sites like CallRuby can connect law firms with on-demand labor quickly and easily. Let’s say everyone at your office is busy working on a case and your secretary calls in sick, you can make sure your calls get answered by requesting help through a website or mobile app. Ensuring your office has an available friendly voice will engender trust with your clients. People benefit from technology in many aspects of their lives already, so they will expect your law firm to take advantage of advances whenever possible to improve their experience. Your first step should be to speak with clients about any value issues they may be having, as well as their relative comfort level with technology integration with 3rd-party partners. The tech you choose for your firm should clearly provide value to the client, not just your own firm. Jeremy Diviney is President and co-founder of Bill4Time, web-based time billing software serving both small and large professional services firms. With offices in New York, Seattle, and Pittsburgh, Bill4Time creates simple-to-use, intuitive and user-friendly software. As you point out, technology is a tool, not a magic carpet to a profitable future. The basics, such as excellent client service and internal operating efficiencies, are critically important. Without these basics, all that technology will do is to make a mediocre law firm be mediocre even faster. One point that I would offer in addition to your great comments: The cost of technology is dropping, now well into the affordable range for even the smallest law firms. These tools, including Bill4Time and some of the others that you mention, can produce a compelling return on investment for small law firms and help them to continue to compete against the large ones.